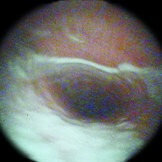 Endoscopy enables the veterinarian to visualize the insight of body cavities and hollow organs. Some diseases can be even treated under visual control with the help of instruments or medications applied through the biopsy channel of the endoscope. In veterinary medicine endoscopy is mainly used to examine the upper (pharynx/larynx and gutturalpouches) and lower (bronchoscopy) respiratory tract. 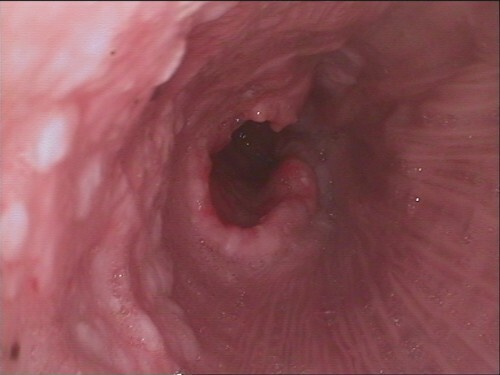 But also the inside of the esophagus and stomach can be visualized with a 3m endoscope (gastroscopy). 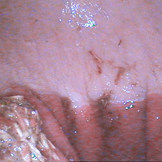 Other organs where endoscopy is a complementary diagnostic technique are bladder and uterus. The Bargteheide Equine Hospital uses flexible video endoscopic equipment to allow the storage of pictures and video recording. 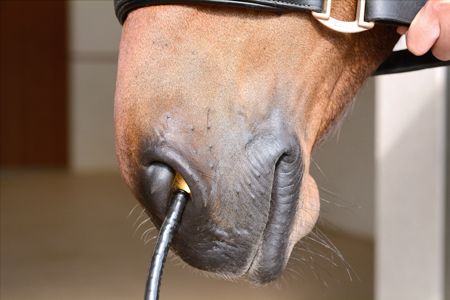 A fixed endoscope is used to evaluate the horse`s oral cavity. 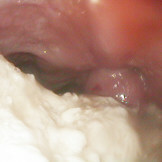 The endoscope is passed through the nostril up to the epiglottis to allow visualization of the caudal nasopharynx and larynx. 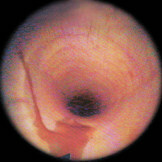 The most frequent indications for endoscopy of the upper respiratory tract are abnormal respiratory sounds during exercise for example in the case of laryngeal hemiplegia or dorsal displacement of the soft palate. 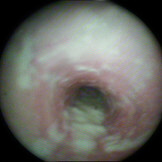 When upper airway obstructions are not present at rest, dynamic endoscopy enables the veterinarian to accurately identify dynamic causes for the abnormal respiratory sounds. 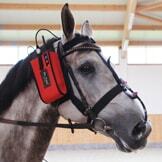 On request we are able to obtain dynamic endoscopy on the longe and when being ridden. 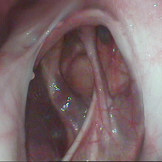 The guttural pouches, which are not present in any domesticated animals other than equids, are paired ventral diverticuli of the eustachian tubes extending from the nasopharynx to the middle ear. They are exposed to airborne infectious agents. External swelling medial to the parotid salivary gland due to distension of the pouch and/or nasal discharge (blood or mucopurulent material) are indications for endoscopy. Indications for bronchoscopy include coughing, nasal discharge and poor performance. 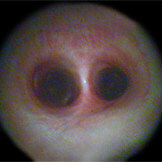 The endoscope is passed through the nostril up to the larynx and further into the trachea. In case of secretion a cytological and/or micrbiological sample can be obtained from the tracheobronchial tree using a catheter inserted via the biopsy port of the endoscope. If there is no secretion sterile fluid can be instilled via the biopsy channel of the bronchoscope and retrieved using gentle suction with 60ml syringes to collect a bronchoalveolar lavage sample. 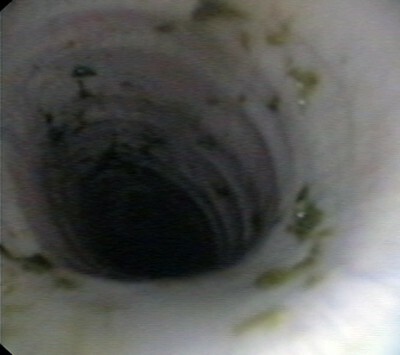 Gastroscopy is the only definitive diagnosis of Equine gastriculcer syndrome (EGUS) currently available.In the standing horse a 3 meter endoscope is passed through the nostril up to the larynx and via the esophagus to the stomach to visualize the glandular and non-glandular mucosa, the margo plicatus as well as the pyloric antrum. Before this procedure is performed the horse must have been held off feed for at least 12 hours and off water for the last 2 hours in order to examine the stomach in an empty state. This allows us to see the lining of the stomach. If it is really hot weather, we may delay the removal of water.